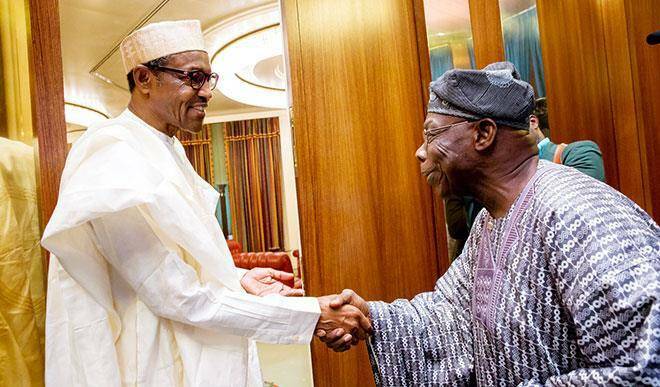 For the record, Chief Obasanjo is a patriot, and he has proven this time and time again. We appreciate what he said concerning the Administration’s performance in two out of the three key issues that formed the plank of its campaign: Fighting corruption and tackling insurgency. Specifically, the former President said President Buhari must be given credit for his achievement so far in these two areas. We thank him for this. especially Millet, Sorghum and Maize. We are now the second largest producer of sorghum after the US, the third in millet after India and our breweries are now enjoying local sourcing of those commodities. * RAIL: Lagos-Kano Standard Gauge is on. Lagos-Ibadan sector ready 2019, Kano-Kaduna ready 2019; The entire stretch ready 2021; Negotiations on for Coastal Rail covering 15 cities from Lagos to Calabar. On whether or not President Muhammadu Buhari should run for another term, it is true that many Nigerians have been calling on the President to run again, while others are opposed to his return. However, we believe this issue is a distraction for the President at this time. This is because Mr. President spends every waking hour tackling the enormous challenges facing the nation, most of which were bequeathed to his Administration by successive past Administrations. He is committed to fulfilling the mandate given to him by Nigerians in 2015. And that’s where we are right now!